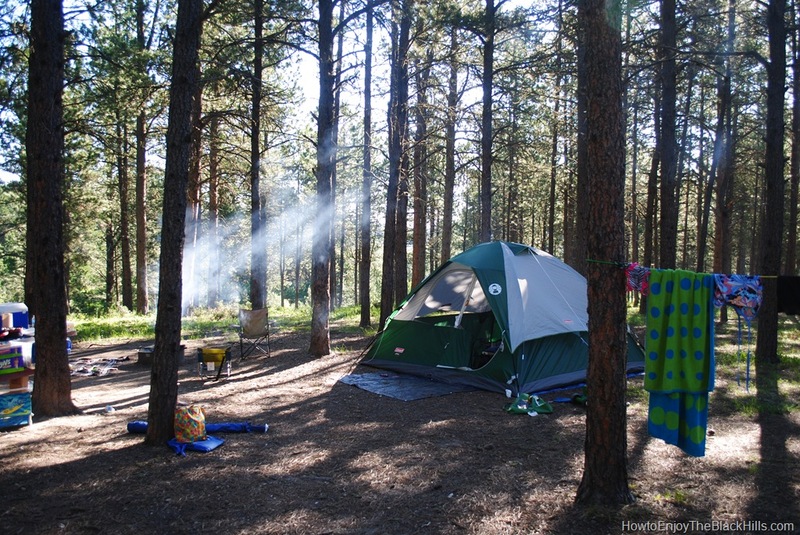 The Black Hills National Forest has lots of options for camping. Roubiax Lake, 20 minutes south of Deadwood, is one of our favorites. This a great place to get away for a night or two. What is the campground like? There are 56 campsites distributed around 4 loops (Loops A, B, C &D). If you plan on spending time a the lake, loops C & D are within easy walking distance. No electricity or hot showers. Each site has a fire ring and a large picnic table. There are several vault toilets throughout the campground. Fresh water is available at many points. Firewood is available for purchase from the campground host. It can get chilly, even on summer nights. Always include plenty of warm blankets, long sleeved shirts and long pants. And, don’t forget the fixings for making smores! Yes, Roubiax Lake has a great sandy beach. The beach can get pretty full on hot Black Hills days, but there is room for everyone. It is a great lake to practice canoeing or kayaking. It is a small lake and no motorized boats are allowed. A nice place to learn how to paddle. I’m not sure how good the fishing is – but, there is usually plenty of anglers out on the shores. Like other lakes of the Black Hills, Roubiax is probably stocked with trout each spring. 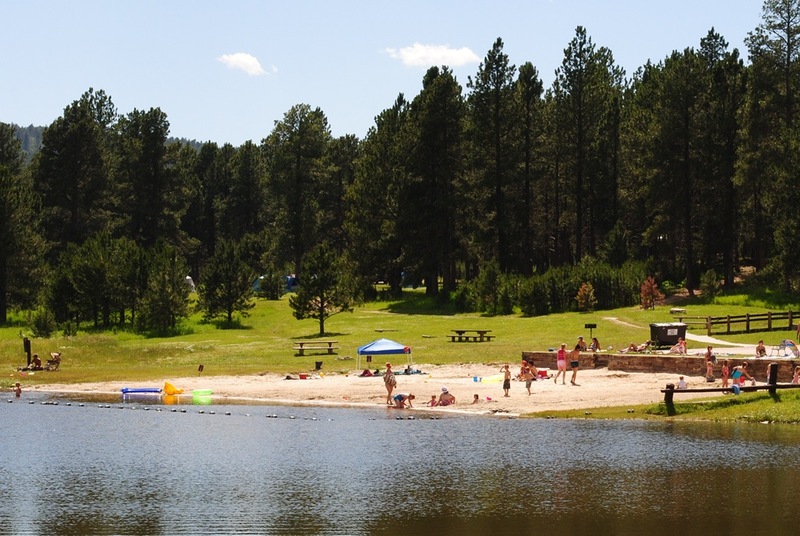 Yes, you can view a map of the campground and reserve sites online. 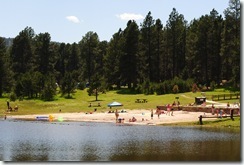 Open sites can also be purchased right at the campground. I would reserve a site if you plan on camping during a weekend. 2011 rates are $19 a night, plus $2 for an extra vehicle. 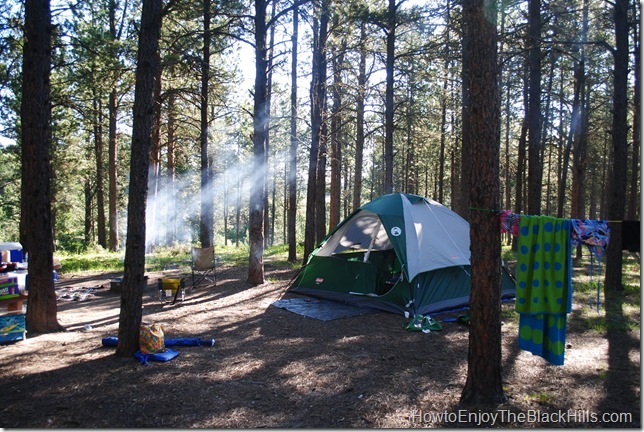 This is a great option if you are looking for camping close to Deadwood.